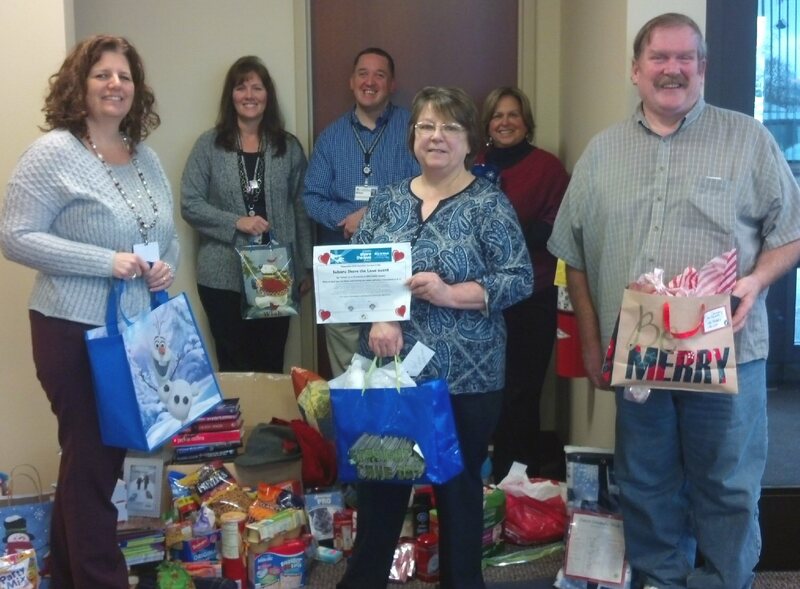 MEXICO, NY – Representatives from the Oswego County Office for the Aging and Oswego County Opportunities display some of the many gifts that were collected for seniors during the holiday season. The gifts were distributed to area seniors participating in OCO’s Home Delivered Meals program and those that visit OCO’s Senior Dining and Activity Centers. From left are: Oswego County Office for the Aging Director Sara Sunday; OCO Employees Penny Halstead and Brian Coleman; Director of OCO Nutrition Services Amy Roland; Director of OCO Health Department Ellen Holst; and Legislator James Karasek, District 22.